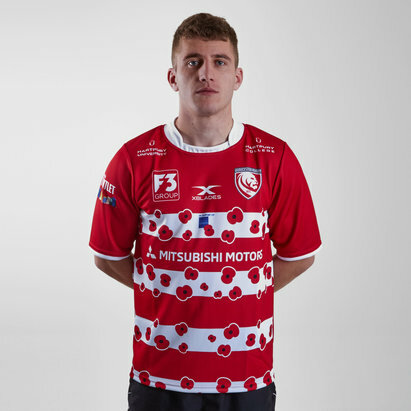 Show your pride and support for the Army Rugby Union with this uniquely memorable Army Rugby Union Poppy Appeal Rugby Shirt. 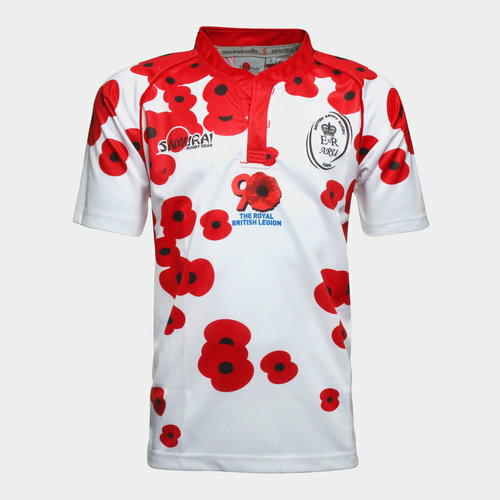 Commemorating the 90th Anniversary of the Royal Legion, this rugby shirt exemplifies the respect for our armed forces with a simple yet evocative design of red poppies spread across a white background. 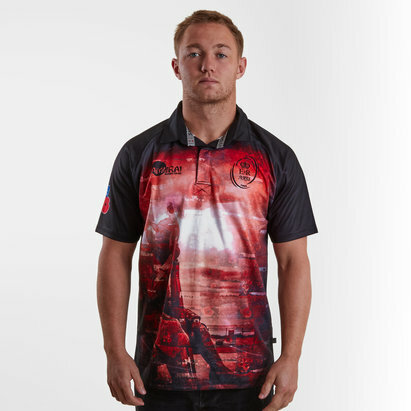 Utilising Samurai’s sublimax sublimation fabric, this next generation of moisture management keeps you cool, warm and dry exactly where you need it most. 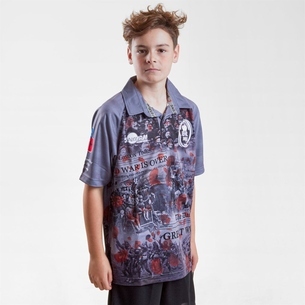 The outer fabric is durable whilst the inner is soft and non-abrasive to the skin, ensuring a long last for both technical and supporter use. 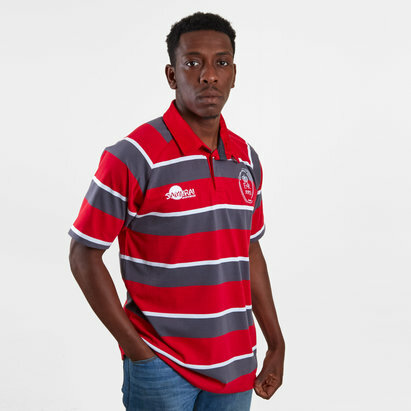 The British Army Rugby Union logo takes pride of place on the left chest with the 90th Anniversary Royal British Legion logo centrally positioned beneath the collar. 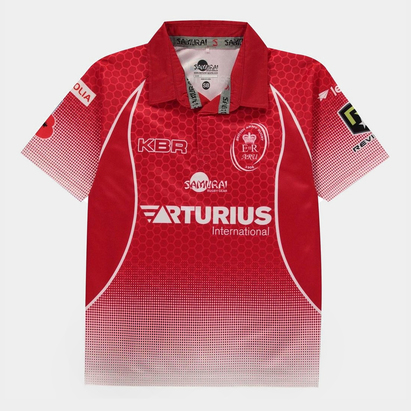 A standard British Legion badge also appears on the left sleeve. 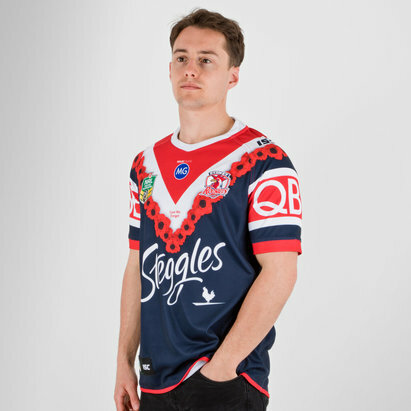 Looking at the reverse of the shirt and the patriotic theme continues with the Union Jack flag subtly positioned below the collar and accompanied by “Army" written in black. 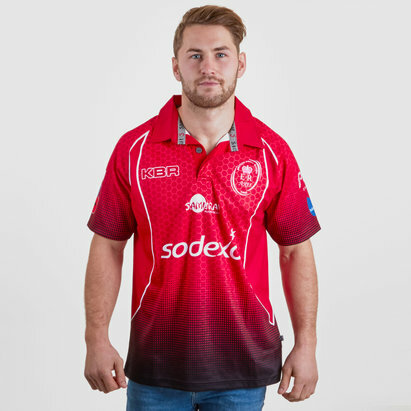 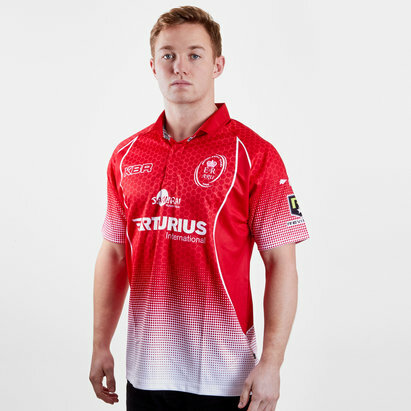 As a finishing touch, on the waist is the poignant wording “Lest We Forget" which perfectly optimises what this rugby shirt represents. 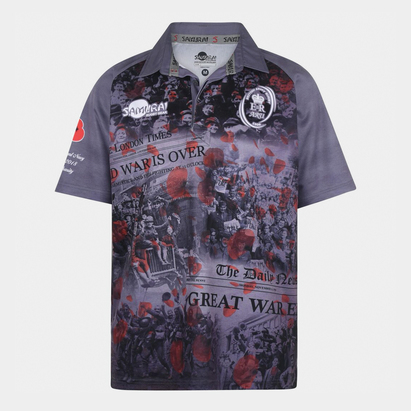 A percentage of the profit made from the sales of these shirts will be donated to the Royal British Legion.